​ Leadership for Change is a three-day group relations conference held each January and July at USD. Registration is full - join our waiting list. In order to cultivate the conditions for change — personal, community, organizational and planetary changes — that promote healing and affirm life. The last day to register is the Tuesday prior to the conference at 5 p.m. or when we've reached capacity. Early registration is strongly encouraged due to limited space for this popular workshop. Participants taking the conference for graduate credit do not need to complete the Conference Registration Form. *USD employees should contact bethg@sandiego.edu for discount code and instructions for internal payment procedures. **Groups should contact bethg@sandiego.edu for discount code. Refunds will not be made after January 15, 2019 or for no-shows. We reserve the right to cancel any event in its reasonable discretion. In the event of cancellation, registration fees will be refunded in full. This way of learning may require giving up what we think we know – allowing ourselves to experience uncertainty – in order to make space for new thoughts, feelings, and perspectives. Benefiting from it requires a willingness to surface and examine elements of personal identity and history that influence the ways we think about leadership, relate to authority, manage boundaries, respond to criticism, and handle conflict. "Many people go fishing all of their lives without knowing it is not fish they are after. " The conference is designed to serve as a temporary institution that reproduces many of the characteristic features of organizational life. It is organized as a sequence of group and inter-group interactions. Working within this temporary institution that serves as both a case study and a laboratory for learning about how institutions operate, participants are able to study and analyze significant phenomena that arise in groups and teams in ways that are often not discussable in the other organizations to which they belong. The experience is more intelligible if one sets aside expectations of a traditional conference or classroom and thinks more in terms of an art studio or a laboratory that provide space conducive to learning by experimentation and practice. Faculty and staff strive to create an atmosphere in which participants can surface unexamined assumptions, develop more adequate ways of seeing, and discover the lessons each is prepared to learn next. This active learning model encourages participants to examine and evaluate their own assumptions and behaviors related to the exercise of leadership and authority in order to help them function more effectively in their outside roles. All conference events will be held in the School of Leadership and Education Sciences, Mother Rosalie Hill Hall at the University of San Diego. Please check in prior to 9 a.m. in the Sala (main lobby) of Hill Hall. Maps and directions are available. Note: Meals are NOT included. Lunch and Dinner breaks of appropriate time are built into the daily schedule, and a list of on-campus and nearby off-campus restaurants will be provided. Faculty and staff function in a variety of roles designed to encourage awareness, curiosity, analysis and deep learning. Working within the parameters of certain defined roles (e.g. 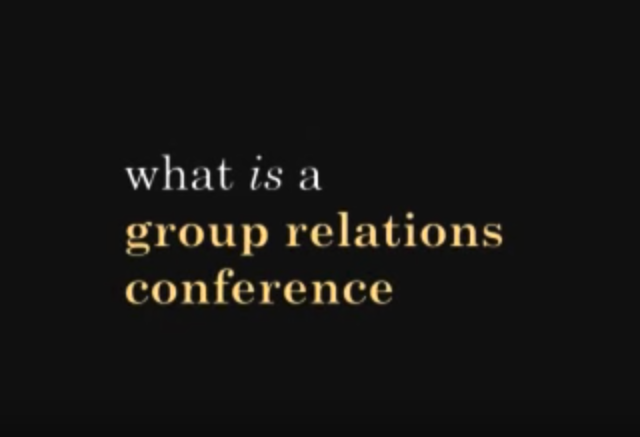 director, consultant, administrator, observer), they attempt to encourage members to use various aspects of the conference as a means for learning about how groups function and how they as individuals affect – and are affected by – organizational dynamics. The conference is designed to be a single integrated educational experience. Individuals who know in advance that they are unable to attend all sessions are discouraged from applying. The University of San Diego awards 1 or 3 credits for graduate students enrolled in this conference. Students taking the conference for 3 units of credit are required to attend separate orientation and debriefing sessions and complete written assignments; and all students are required to complete readings. In addition to completing the online registration form, students seeking USD graduate credit must follow formal registration procedures specified by the University to enroll in either LEAD 504: Human Relations for Leaders (1 unit), LEAD 551: Human Relations for Leaders (3 units), or LEAD 585: Leadership for Change (3 units). If you are not a current USD graduate student but wish to take the course for academic credit must apply for Open Campus. While waiting for your application to be processed, please email Beth Garofalo at bethg@sandiego.edu to alert her that you plant to enroll. Once your Open Campus application is approved, you will need to pay for and register for the course through the Division of Professional and Continuing Education. An orientation designed to provide more conceptual background for the Conference will be held on Tuesday prior to the conference at 6 p.m. – 9 p.m. in MRH 102. All members of the Conference are welcome to attend if they wish; students taking the conference for 3 units of graduate credit must attend this session. To receive 3 units of graduate credit, students must also attend a debriefing session on Tuesday following the conference at 6 p.m. – 9 p.m. in MRH 102. For required and recommended readings, consult the course syllabus for LEAD 504, LEAD 551 or LEAD 585. (Until the previous term's syllabi are replaced you can get a good sense of the work by reviewing the previously published syllabi). Conference events include a few research activities that facilitate participants’ reflection on their perceptions of leadership and on the conference itself. These activities are done anonymously and reports of the research refer only to groups, not to individuals. The research activities are planned to enrich the conference experience for everyone. However, your participation is completely voluntary, and your decision whether or not to take part in the research will not affect your treatment as a conference member or student in any way. There are several articles we recommend you read which will hopefully throw some more light on what may still seem to be somewhat of an elusive content and format of the conference. We also welcome all conference members to view the course syllabi for the various graduate level courses we offer at USD in conjunction with this conference. Hayden, C. & Molenkamp, R. Tavistock primer II. In Cytrynbaum, S. and Noumair, D. (Eds. ), Group relations reader 3. Jupiter, FL: The A.K. Rice Institute. Course Syllabi for LEAD 504, LEAD 551, LEAD 585. (Until the previous term's syllabi are replaced you can get a good sense of the work by reviewing the previously published syllabi). The conference is an educational endeavor and does not provide psychotherapy or sensitivity training. Although the experiential learning available in this conference can be stimulating and enriching, it can be emotionally demanding as well. Thus, potential applicants who are ill or experiencing significant personal difficulties should forego participating in this conference and, perhaps, plan on attending one at a future date. The university also has a negotiated rate for USD travelers at the Best Western Hacienda Old Town. To make a reservation, call 800-888-1991 and ask for USD's rate. Guests to campus must pay to park in either the Mission Parking Structure (subject to space availability) or the West Parking Structure and West Parking Lot. Payment is required Monday through Friday between the hours of 7 a.m. - 7 p.m. Guests may also pre-purchase daily permits using the online customer portal.Please visit the paid parking page for more information about paid parking on campus, including rates and payment methods.